Steamers Genuine Seafood is the place to come for a glimpse of the sea amid the Phoenix desert. With an oyster and sushi bar, as well as an extensive menu, Steamers is serious about their seafood. 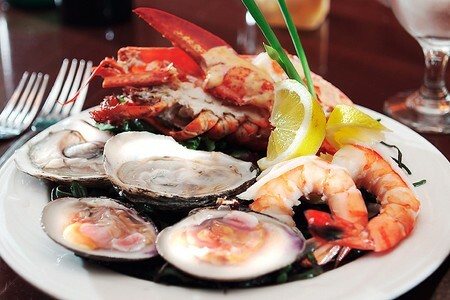 Fish and shellfish are the specialty, with an array of entrees such as Blue Cheese Petrale Sole and Blackened Red Snapper, a selection of simply grilled fish, and a tempting selection of lobster dishes. However, those in the mood for turf will not be disappointed, with flavorful preparations of steak and chicken and delectable sides. An extensive and interesting wine list compliments the menu, for an overall experience that is nothing short of genuine. Seafood entrees were great, but forget about ordering the New England clam chowder. The worst I have ever had - it tasted like glue.